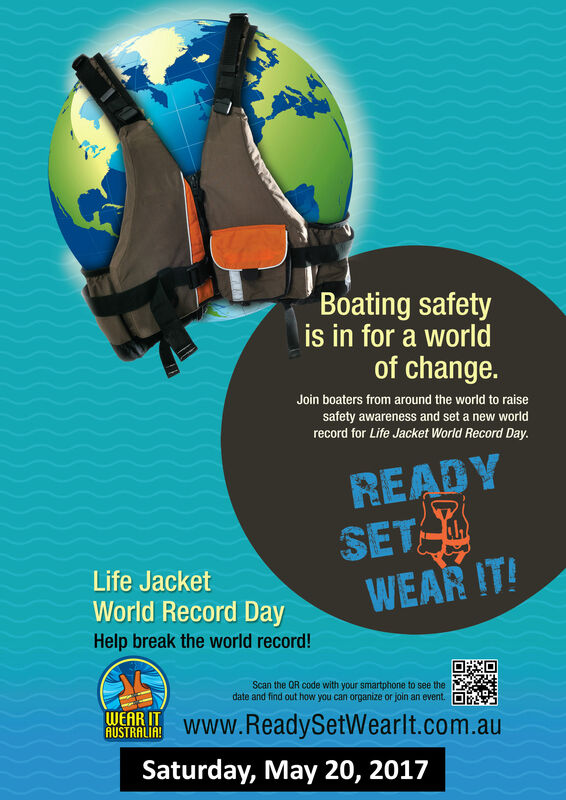 Choosing A Personal Flotation Device (PFD LifeJacket) | WEAR IT AUSTRALIA! A personal flotation device (PFD) provides buoyancy to help you to float with your head above the water. There are three different Australian Standards for PFDS according to the level of protection afforded to the wearer. A brief description of each type is set out below to help you select the type which is suitable for your needs. You should also refer to the Marine Authority in your State as there are regulations covering the number and type of PFDs which must be carried aboard pleasure boats. PFD Type 1s were previously referred to as ‘life jackets’: however, this term is more correctly applied to the type of lifesaving equipment carried on ships and other commercial vessels. PFD Type 1. 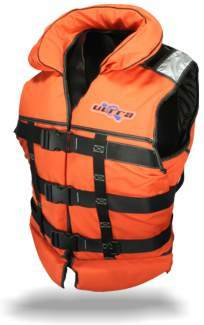 PFD Type I complying with the requirements of AS 1512 provides a high level of buoyancy and is designed to maintain the wearer in a safe floating position, ie. with the body inclined backwards from the vertical with the nose and mouth clear of the water. The bulk of the PFD Type I plus the fact that a buoyant collar is often incorporated can make it awkward to move about freely or swim for any distance while wearing one. 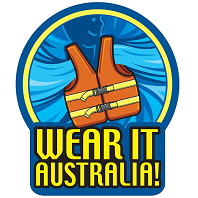 They are generally recommended for use in pleasure boats which may venture beyond sheltered waters or where the wearer is at risk of sustaining injuries which may impede the wearer’s ability to swim, such as in power boat racing. PFD Type 2s were previously known as ‘buoyancy vests’. PFD Type 2. A PFD Type 2 complying with the requirements of AS 1499 provides sufficient buoyancy to assist the wearer to maintain his or her head above the water but not as much as a PFD Type 1. It is less bulky than a PFD Type 1 making it more suitable for applications where the wearer needs to move around or swim. A PFD Type 2 is generally recommended for use by dinghy sailors, board sailors, water skiers and other people who are at risk of short term immersion in sheltered waters and therefore need to wear a PFD for an extended period of time. Some PFD Type 2s are designed for specific purposes such as canoeing or board sailing and therefore include additional features to suit the application. 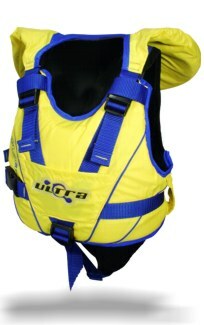 PFD Type 3s were previously known as “Buoyancy Garments”. PFD Type 3. A PFD Type 3 complying with the requirements of AS 2260 provides a similar amount of buoyancy to that of a PFD Type 2, but PFD Type 3s are permitted to carry a wider range of colours than just the high visibility colours permitted for PFD Types 1 and 2. This lends itself to a wider range of styles amongst PFD Type 3s including buoyant and wetsuits and PFD’s in fashion colours. PFD Type 3s are generally recommended for use by water skiers and other people who are at risk of short-term immersion in sheltered waters where assistance is immediately on hand. A PFD which bears the applicable Standards Mark (shown here) has been manufactured to comply with the appropriate Australian Standard under the system of supervision, control and testing operated by the Standards Association of Australia. A PFD will help you to float in the water, but it cannot guarantee your safety and ultimate rescue. PFD’s are manufactured in a range of sizes to suit people of different body masses and builds. Ensure that your PFD is a good fit and does not ride up in the water. The effectiveness of a PFD is considerably reduced in rough or breaking seas and surf. In the event of a swamping or capsize remain with your craft as this will be more easily found by rescue services. The chilling effect of submersion in cold water for an extended period (hypothermia) saps the body’s reserves of strength and can ultimately be fatal. Wearing a wetsuit or a woollen jumper next to the skin will help to insulate the body in the water. Adopting a foetal position in the water reduces the loss of heat through the arms and legs. Wear your PFD at all times, or, if this is not practicable, store it in a readily accessible place. When taking guests aboard your boat ensure that there are sufficient PFDs for everybody and that everybody knows how to find their PFD and how to put it on. Always practise putting them on within 60 seconds of raising the alarm. A child is difficult to float in a face up position because of the distribution of body mass and because the child tends to panic in an unfamiliar environment. The violent movement of the arms and legs in an attempt to ‘climb out’ of the water tends to nullify the stability of the PFD. A properly designed PFD of the correct size will, however, keep a child’s mouth and nose clear of the water. A child should be taught how to put on the device and should be allowed to try it out in the water. It is important that the child feels comfortable and knows what the PFD is for and how it functions. Parents and Skippers should note, however, that a PFD is not a substitute for competent supervision.